It can be difficult to know exactly what to expect when you begin on the search for your wedding dress. Some of our brides are are really excited to get started and others can be a little nervous or apprehensive. However you’re feeling, it’s all normal and we’re here to help. Below you'll find a breakdown of the important stages in finding your dress. A few things to know about the booking process and how to prepare for an appointment. Here’s what to expect at your appointment and a few tips to get the most out of the experience. We understand the importance of a perfect fit and we love to customise dresses to each individual. 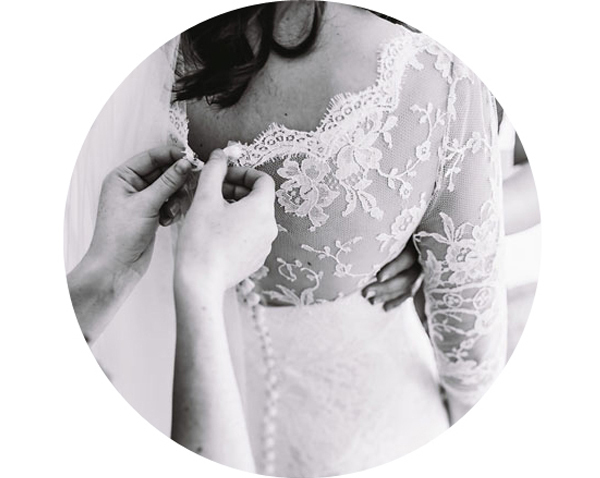 Once you’ve found your dress we make sure that it’s ready for the big day and for years to come. We hope that you find the information on these pages helpful but if you have any other questions please feel free to contact us.